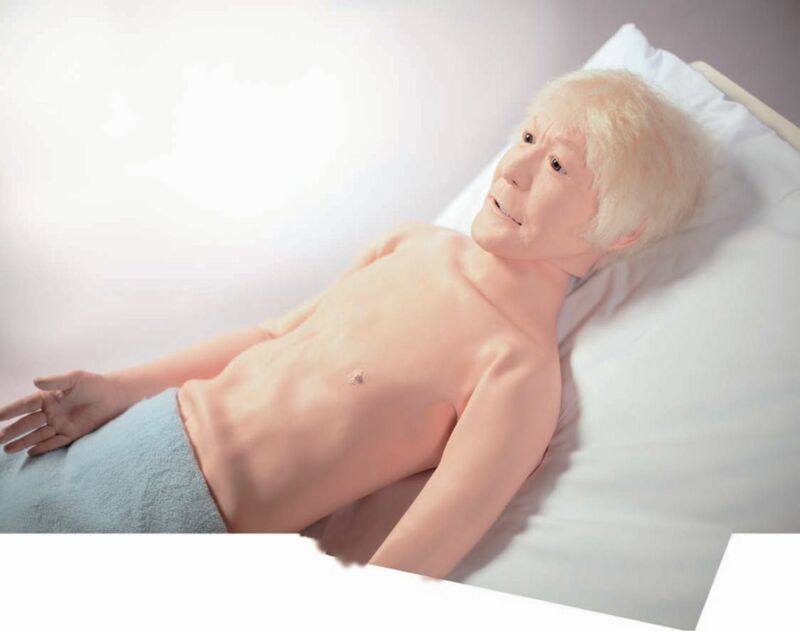 Elderly Whole Body Manikin For Basic Patient Care. This manikin facilitates training for various procedures essential for elderly patient care. The seamless, waterproof body allows for repeated bathing exercises. Hands and feet can be positioned in all directions, giving students proactive in positioning while moving patients. 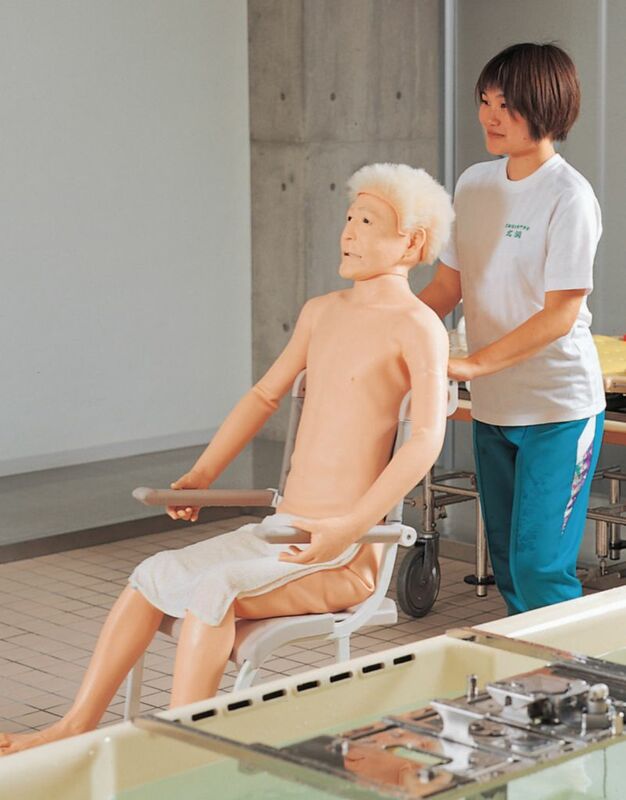 A movable jaw allows of oral care to be demonstrated and practiced. 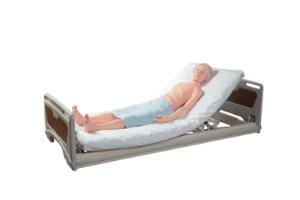 Recommended Training Skills: Positioning, Patient handling, Hair Care; Oral Care, Clothing, Diaper Change, and Bathing.